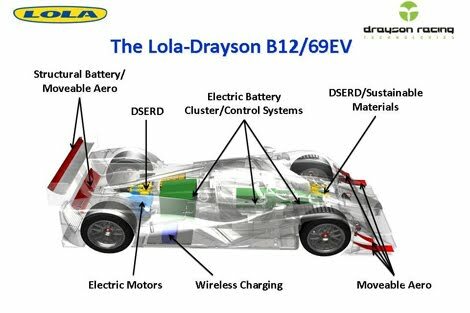 Lola Group and Drayson Racing Technologies (DRT) today announce at the 2011 Cenex LCV event at Rockingham, UK, further detail on the groundbreaking Lola-Drayson B12/69EV all-electric prototype. The major partnership between Lola and Drayson to build an electric powered LMP (Le Mans Prototype) car was announced in July. Today, both Robin Brundle, Managing Director of Lola Group and Lord Paul Drayson, founder and Chairman of DRT release the names of the technical partners for the project and what each of the six technology companies will be contributing and developing.